Widely considered to be the ultimate bodyweight exercise, the pull up is one of the best ways to work core muscles of the upper body. In our humble opinion, this multi-joint exercise is equal to the back squat, deadlift and bench press in terms of developing real-world, functional strength. No matter how far you are on your fitness journey, a pull up is never out of reach – literally. Performing this versatile exercise is as simple as finding something overhead that you can hang onto, and will support your bodyweight. 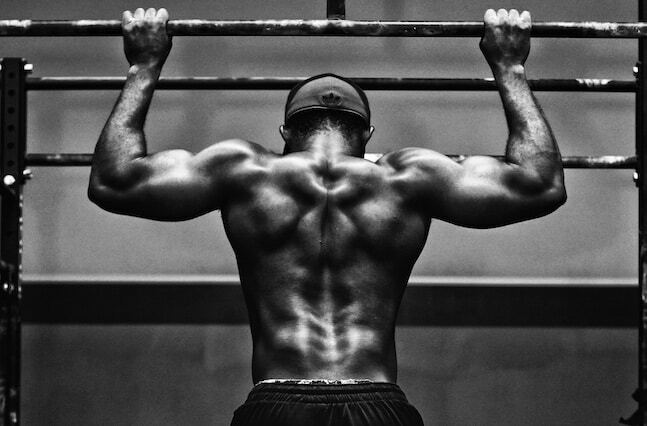 For this reason, pull ups should be a core exercise in most strength training routines. However, while pretty much any overhead support can be used for pull ups, a proper pull up bar makes them more comfortable and effective. 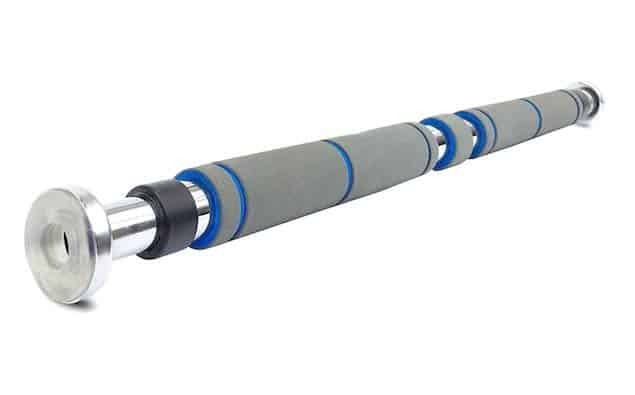 But with the plethora of options currently available on the market, getting the best pull up bar for you and your home gym can be easier said than done. That’s why we’ve put together this ultimate list, ranking all the best options in their respective categories. 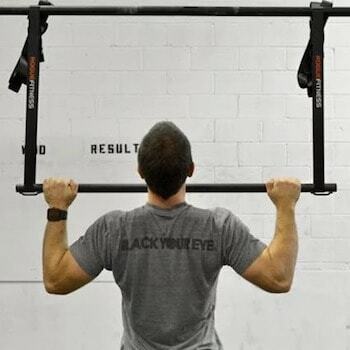 Irrespective of your situation, read on and we guarantee you’ll find a pull up bar that meets your needs. 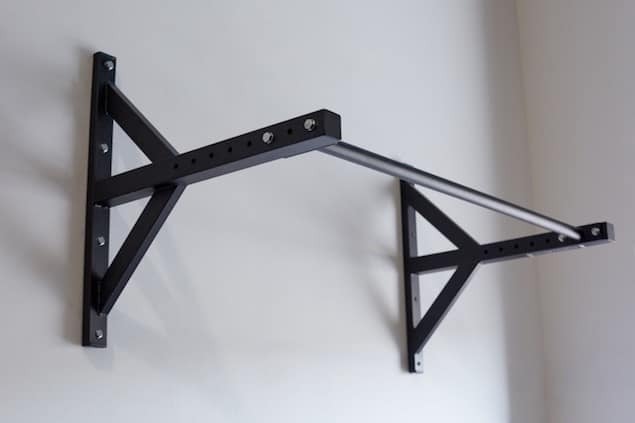 Mounted pull up bars usually need to be attached to a wall or ceiling. The advantage here is a solid, shake-free grip and the ability to support significant amounts of weight. If you’re planning on doing weighted pull ups (i.e., with a dip belt) or kipping pull ups, then a good mounted pull up bar is probably your best bet. The obvious downside is the subsequent measurement, drilling and effort that comes with setting it up. If this kind of handy work is not one of your areas of expertise, then you may need to hire some help to ensure it’s done correctly. You’ll also be left with a few unsightly holes in your wall if and when you take your bar down. Also, while you do have the benefit of multiple grip options (depending on the bar you go with), your choice of exercises can be a little more limited due to the lack of space (particularly with some wall-mounted options). That said, mounted pull up bars are still a great all-round choice. They’re durable, reliable and versatile enough to satisfy most athletes. Half an hour and some basic equipment is all you need to install the Fringe Sport Pull Up Bar System in your home or garage gym. It can be attached to both walls and ceilings ranging between 8 ft and 10 ft high. The bar itself can be adjusted to extend from 14” to 22” from the mounting point, making it suitable for athletes of all heights. The basic but durable 14-gauge steel build weighs in at a total of 23 lbs. Despite this, it manages to support up to 600 lbs of weight. 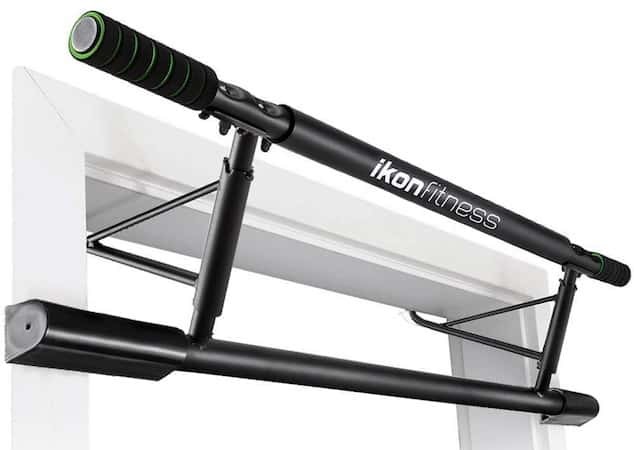 A one year warranty is included with every purchase to remind you that this pull up bar is built to last. 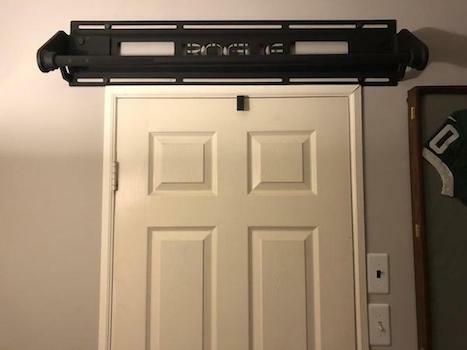 Fast, free shipping and included mounting hardware further sweeten the deal, making this the best value mounted pull up bar on the market. When it comes to mounted pull up bars, nothing beats quick and easy installation. With the Rep Fitness Home Gym bar, you get exactly that. All necessary mounting hardware is included in the box. The bar can be attached to both walls and ceilings, allowing you to utilize it for a wider variety of exercises. The blacked out 11-gauge steel frame is rated to support up to 500 lbs of weight. Various adjustment levels allow you to extend the bar from 14” to 26” away from the wall or ceiling. Rep Fitness includes a one month money-back guarantee and same day shipping as standard, adding even more value to this pull up bar. 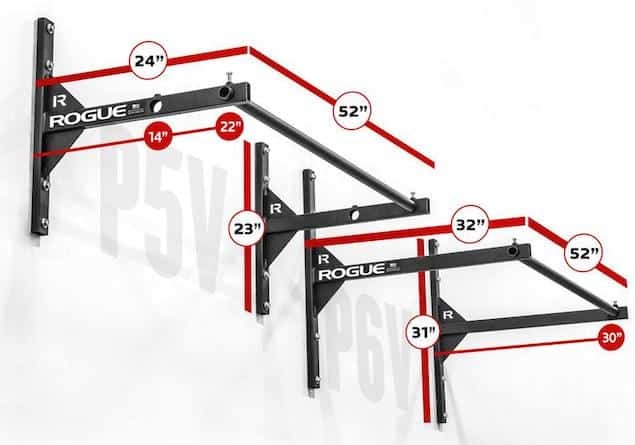 The P Series includes four different variants of Rogue’s top end pull up bar. The P-5V is the most affordable offering, but maintains the same level of unrivaled build quality as the rest of the range. It features bar slots at both 14” and 22” from the mounting point, making it suitable for most exercises. The P-6V on the other hand, features only one mounting point at a sizeable 30” away. It’s also rated to support a whopping 1000 lbs of weight while only weighing around 31 lbs itself. 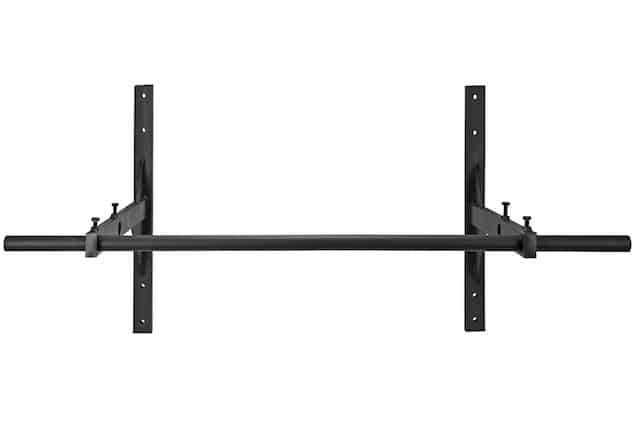 The width can be set from 16” all the way up to 48” between brackets, making this pull up bar highly customizable. The P-3 and P-4 introduce a slightly different build that’s still compact, durable and versatile. The P-3 can be set to 14” and 22” away from the mounting point, while the P-4 sticks to a distance of 30”. Setup is a fairly quick and painless process thanks to the simple design. The rock solid screws and brackets ensure that these bars stay put for good. Keep in mind that picking up any of these models will mean also having to purchase the necessary mounting hardware as not everything you need is included by default. All versions are made in the US out of 11-gauge steel and can be mounted to both walls and ceilings. 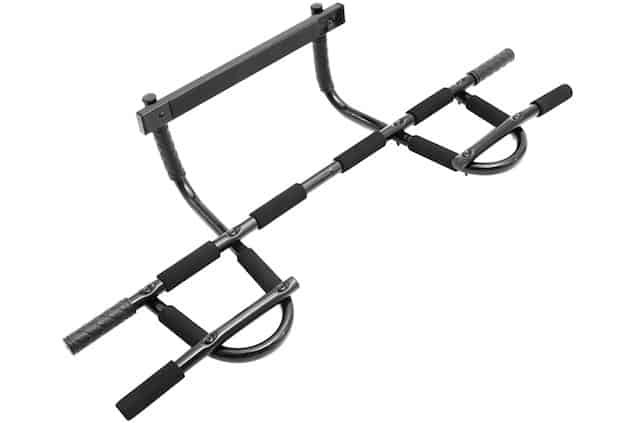 These are some of, if not the highest quality pull up bars you can buy. Of course, premium design comes at a premium cost, which is why the P Series isn’t higher up on our list. If you’re looking to perform neutral grip pull ups, then ProSource has you covered. This model features a multi-grip design that gives you three different sets of bars to grab onto. The PVC grips themselves happen to be very comfortable to hold and don’t get too slippery over time. 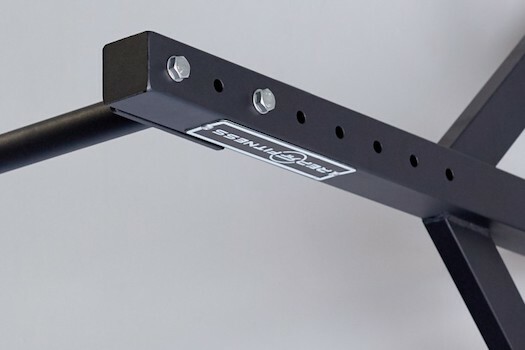 The 300 lbs weight capacity is made possible thanks to the heavy duty metal construction and high quality mounting hardware – which is included in the box along with some installation instructions. Unfortunately this bar can’t be mounted to ceilings, so be sure to check whether you have a suitable wall before picking it up. 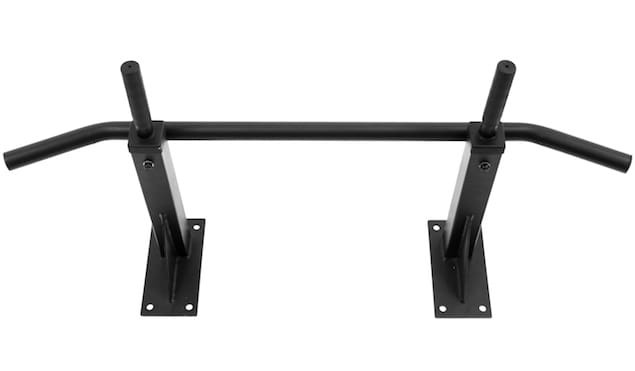 Using the discount code FITFREAK15 will get you a 15% discount of this pull up bar, and everything else at ProSource. 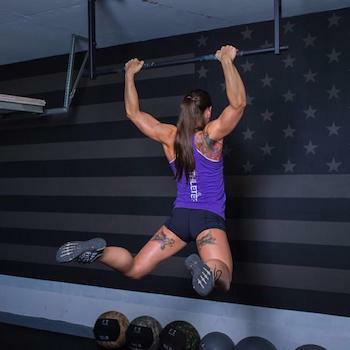 The Jammer is a completely unique take on the pull up bar. Choose from a variety of finishes ranging in color, texture and pattern. You also have the option of choosing between a knurled and smooth finish on the US-made gauge steel bars. The laser-cut brackets are, as you’d expect, second to none and will last a lifetime. It’s designed to be mounted above your door frame on a wood stud wall. This one of a kind mounting method gives you the best of both worlds. You have the advantage of maximum movement space without running the risk of the bar coming loose or damaging your door frame. A Cerakote finish ensures that your bar stays looking brand new for as long as you have it. As the name suggests, doorway pull up bars require a door frame to be mounted. There are also versions with adjustable length, which can be set up between any doorway. 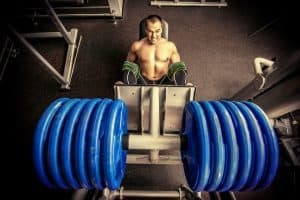 Because there’s very little anchoring the bar in place, they tend to be more dangerous as you always run the risk of your bar losing grip – usually when you least expect it. Your doorframe may take a toll from all the weight being forced onto it as well. Ensure that yours can handle it before installation. Doorway pull up bars are still a considerably affordable and highly portable alternative to mounted bars. They’re easy to set up and don’t leave a bunch of holes in your wall when you remove them. 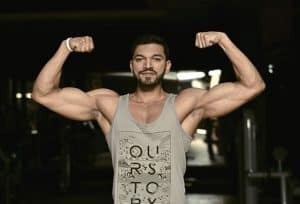 In certain instances, you’ll also be able to perform a wider variety of exercises due to the increased space in front and behind you. Unlike mounted bars, doorway bars like this one require nothing more than some basic assembly to set up. As the name suggests, ProSource’s bar comes with six different grip options. This allows you to perform anything from hammer and close-grip pull ups to hanging abdominal exercises. Each grip is wrapped in cushioned foam for maximum comfort. The high-grade steel construction supports up to 300 lbs of weight and will fit between door frames 24” to 36” wide. Fast shipping, discount offers and excellent customer service help make the ProSource Multi-Grip one of the best value doorway bars on the market. Stability and door frame damage is often a concern for these types of pull up bars. However, Ikon Fitness has come up with a clever design for their doorway bar that effectively addresses these issues. The heavy duty frame supports up to 400 lbs of weight and is cushioned to prevent door frame damage. 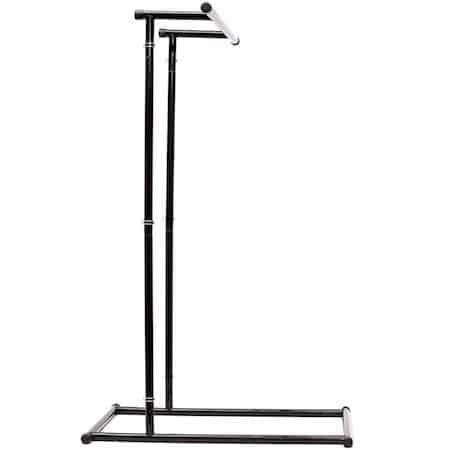 Because of the unique raised bar design, taller athletes will find it ideal for exercises that require more space. 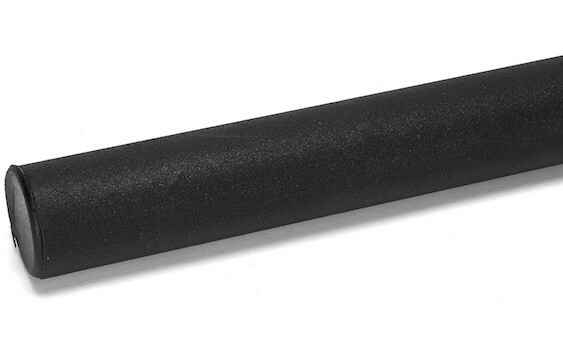 The soft foam grips are cut and textured for a comfortable and reliable hold. Mounting this bar is as simple as hooking it up – no equipment necessary. Prime members can add more value to their purchase by taking advantage of Amazon’s free shipping and product guarantee. The simple single-bar design can be adjusted from 26” to 39” in width, making it suitable for virtually any doorway. It also comes with multiple kits that allow you to attach it to different frames. The heavy-duty chrome steel mounts support up to 300 lbs of weight and can be screwed in using the provided hardware. Cushioned foam grips are found along the entire length of the bar, allowing you to adjust your hold and perform a wider variety of exercises. 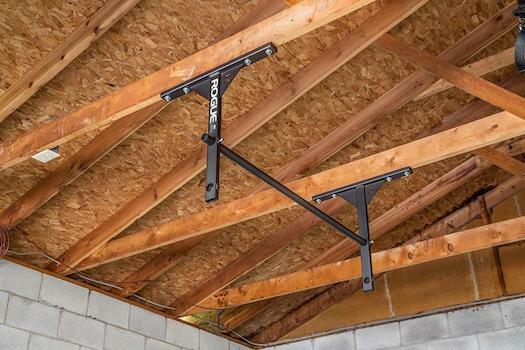 If you’re looking for an affordable and reliable way to perform pull ups at home, the Maximiza is not a bad way to go. If the above options don’t tickle your fancy, there are a couple of alternatives available that serve a similar purpose. We’ve included two of the best options later in the list – namely Rogue’s Individual Pull Up System and the Gravity Fitness Pull Up Rack. Whether or not you’ll find these suitable for your home gym depends on your preferences and needs. 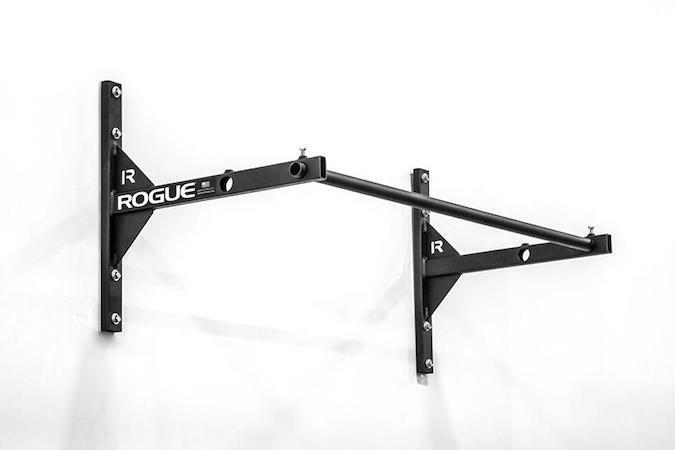 Rogue’s Individual bar for example, is only really viable if you have an overhead beam to hang it with. We’ll take a closer look at these quirks in the product descriptions below. Instead of having to be mounted, the Gravity Fitness Portable rack is a free-standing structure that can be set up in any space around your home. It weighs only 41 lbs and can easily be collapsed without tools for storage. A handy carry bag is included in the box for transportation. The basic metal structure won’t offer the same stability as mounted or doorway bars, but will support up to 240 lbs of weight and features four feet to keep it in place. It’s tall enough for most athletes and can be used for dips, leg raises, incline press-ups and of course your usual pull ups. Unsurprisingly, Rogue has decided to create something different that doesn’t overcomplicate things or skimp on versatility. The “IPS” is essentially a single 14-gauge steel bar that can be hung using the included 16’ long straps. The powder coated bar is made by hand in the US and features a comfortable textured grip throughout. Two straps with quick feed/release cam buckles allow you to hang the bar from an overhead beam at a distance of your choosing. 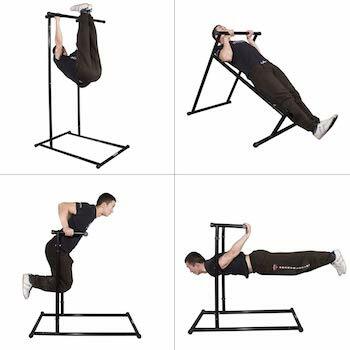 It works similarly to a suspension trainer and is suitable for a variety of exercises. While on the expensive side, you can expect the usual unrivaled build quality of Rogue products with the IPS. There’s clearly quite a lot to choose from here – even when we’re only including the very best bars that are on offer. 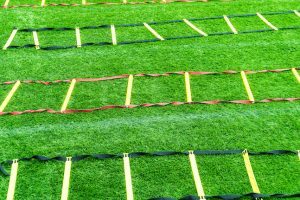 Which one is most suitable for you comes down to your budget and the type of exercises you want to perform. If you need more room, opt for a doorway bar or pull up rack. If you prefer the stability and durability of mounted bars, then there are at least five great ones to choose from here. Regardless of which one you opt for, your pull up bar will prove its worth and provide you with endless hours of upper body-working exercise that will get you chiseled and fit before you know it. And with proper care, your first pull up bar will easily be your last one. 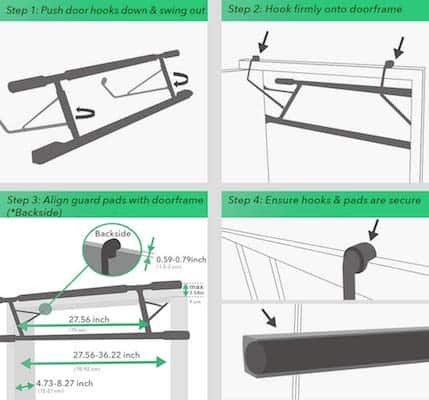 Always make sure to follow the installation instructions and ensure that your bar is attached correctly. Some unsightly injuries can arise from improperly mounted bars that give in and send you hurtling to the ground.